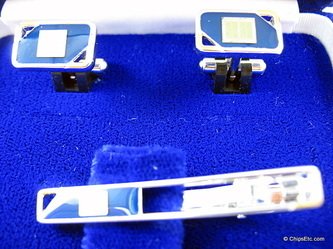 Specialty: Produces Consumer electronics and Semiconductor products. 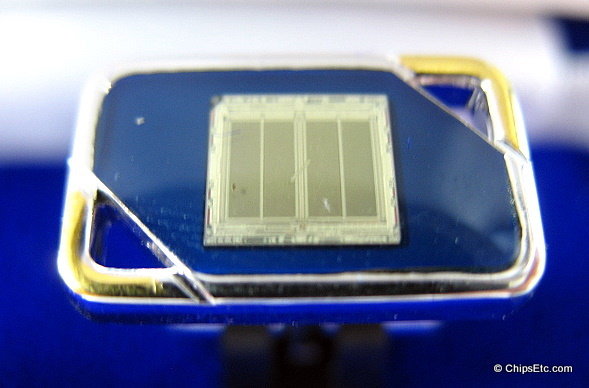 Fourth biggest Semiconductor manufacturer in the world. 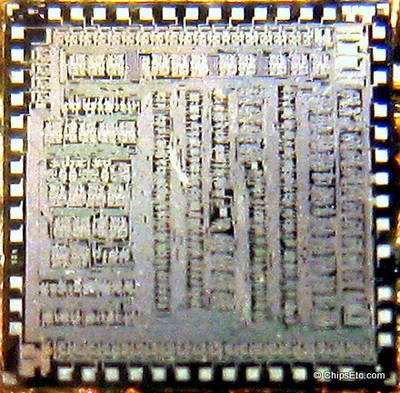 Created the first Digital Signal Processor in 1980 - the NEC µPD7710. 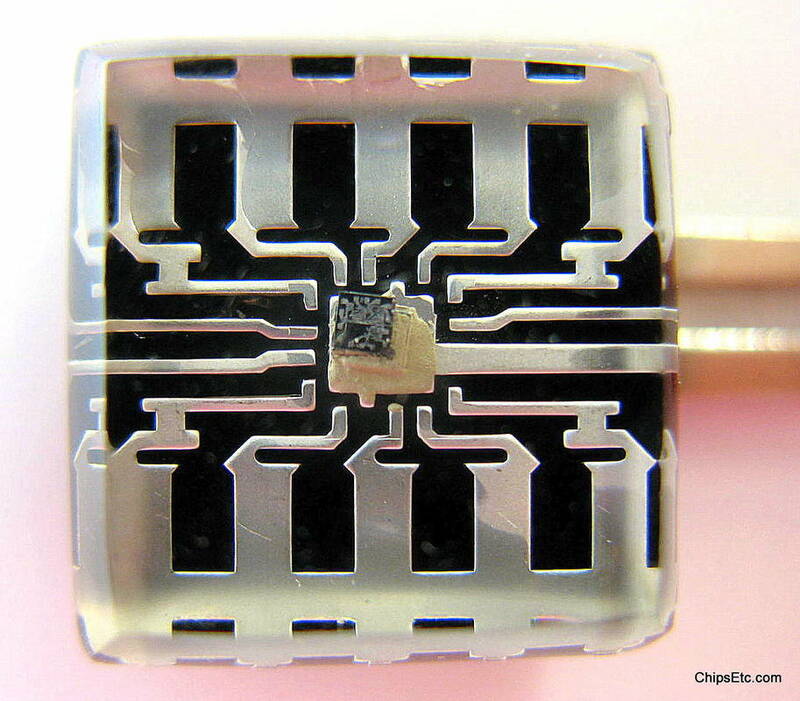 Discovered Single walled carbon nano tubes. 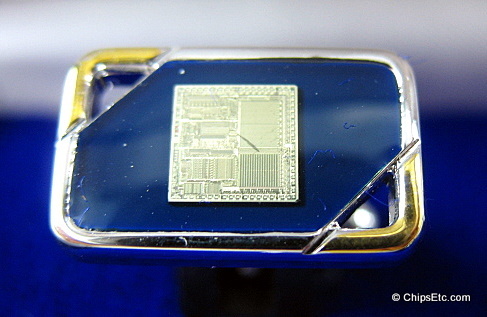 Opened the world's most advanced semiconductor research & development facility in 1998. Created the "Earth Simulator" Supercomputer - fastest computer in the world from 2002 to 2004. 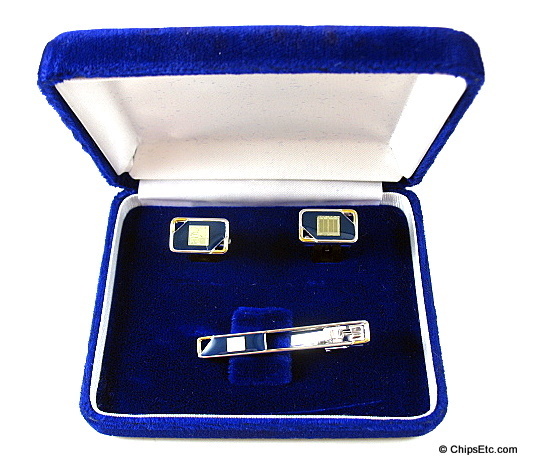 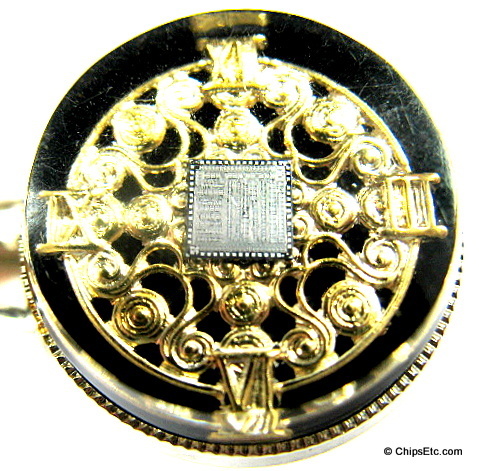 ​This Silver plated 3 piece cuff link set with gold plated accents features three different types of NEC chips including a NEC DRAM memory chip and a NEC microprocessor chip. NEC began production of 256K DRAM memory chips in 1985 at their Roseville, CA. 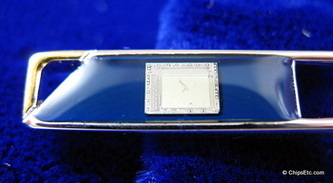 plant. 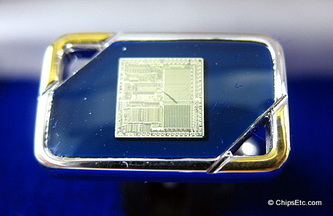 Comes in blue velvet jewel box. 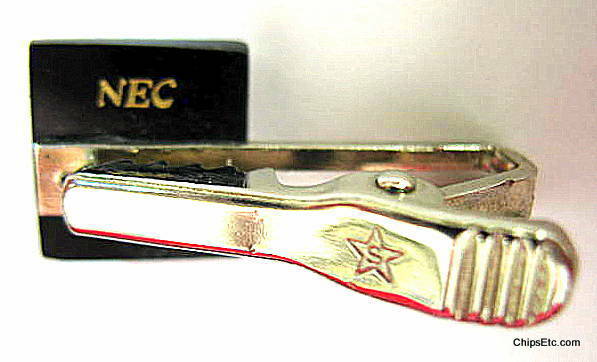 Items have the NEC logo embossed on the back. 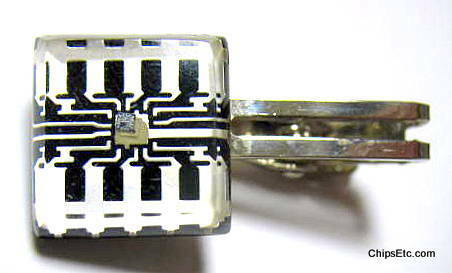 This Tie bar from NEC has an Integrated Circuit chip mounted on an exposed lead frame package that has not been encapsulated. 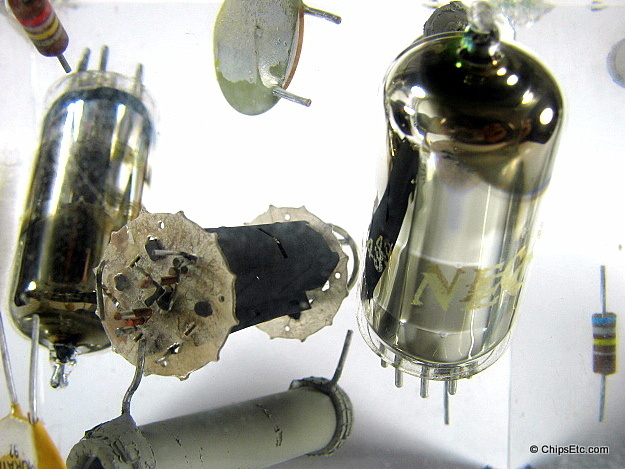 NEC has been developing satellite systems ever since their first launch of the "Ohsumi" satellite (japan's first satellite) back in 1970. 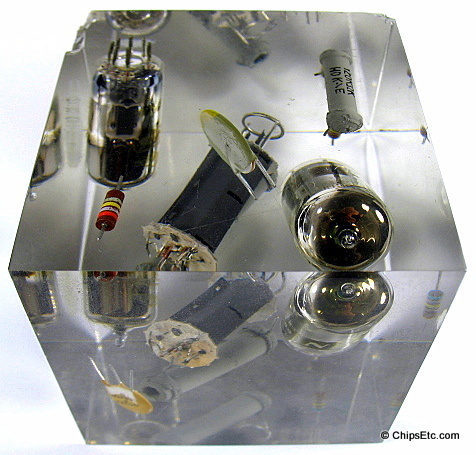 NEC's long history of satellite systems includes numerous broadcast, weather, communication, Earth observation, astronomical and scientific observation, asteroid tracking, and engineering test satellites. 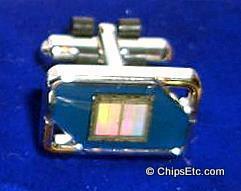 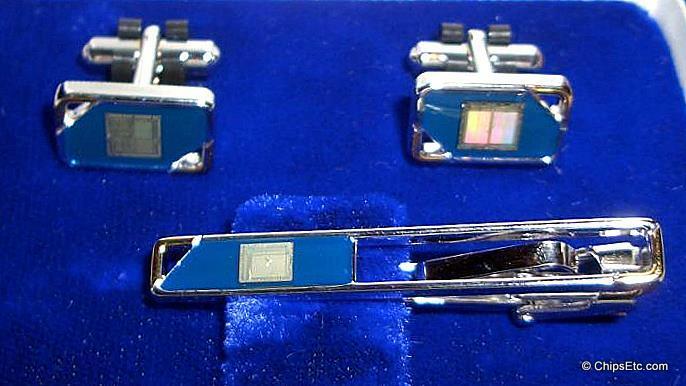 This Tie bar from NEC contains an actual chip used in their satellite program. 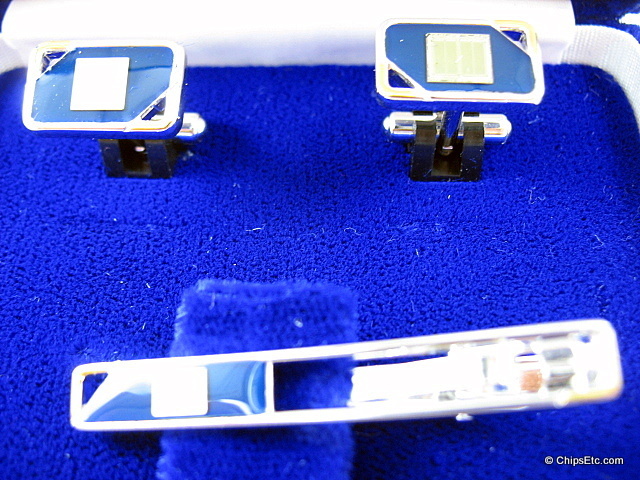 This Tie bar from contains an NEC Microprocessor chip embedded in clear acrylic on top of a clock face background. 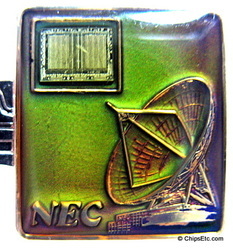 Polished metal with NEC stamped on the back. 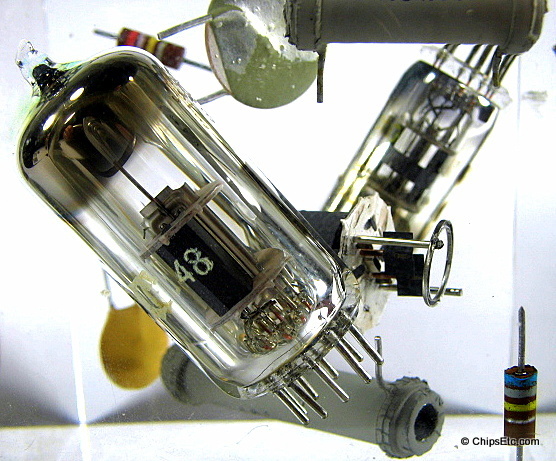 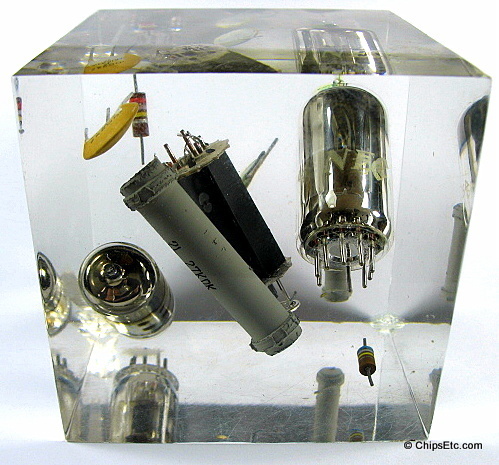 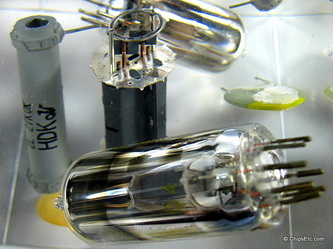 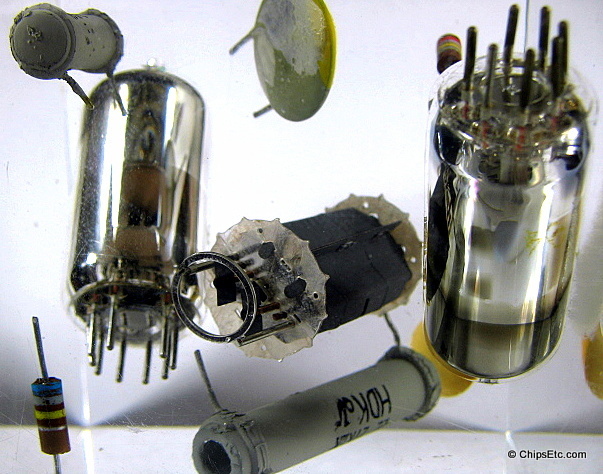 Lucite paperweight art piece features a variety of electronic components, as well as a Vacuum Tube made by NEC. 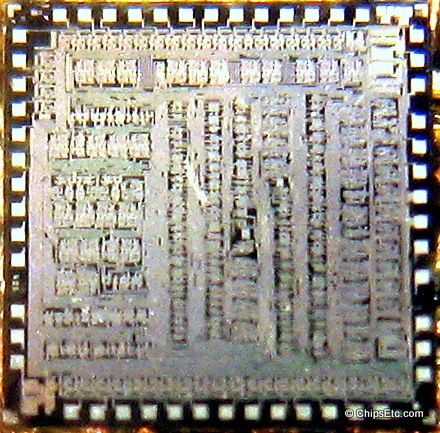 Measures 3" x 3" x 3".